A gorgeous, fit and flare wedding dress. Accenting the illusion plunging-sweetheart neckline and lovely corset lacing scoop back for a figure-flattering fit. Beautiful beadwork. 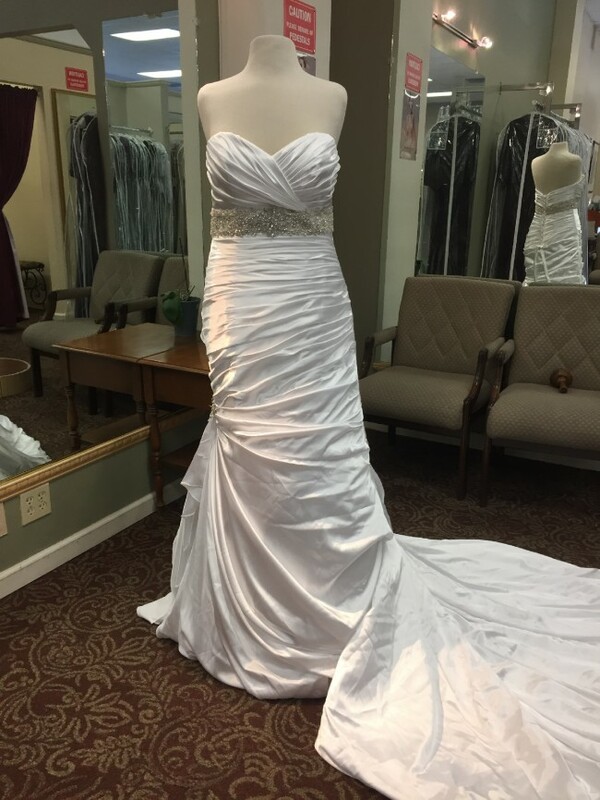 Purchased new from Gesinee’s Bridal, Concord, CA. Stored in a specialized garment bag. Size 14 but will easily fit brides size 12 to 16. Selling this amazing dress for $500 but willing to accept any reasonable offer.